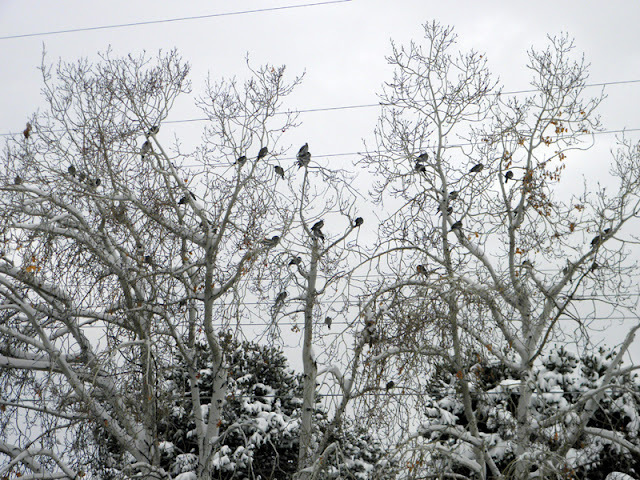 Los Alamos Daily Photo: Partridges In A Pear Tree? That would be so cool to see every day. I am going into town today and going to get bird food. I haven't done it in a bit and it's time to try again. We have a lot of doves in our tree near the feeder! But you have the record! What fun!